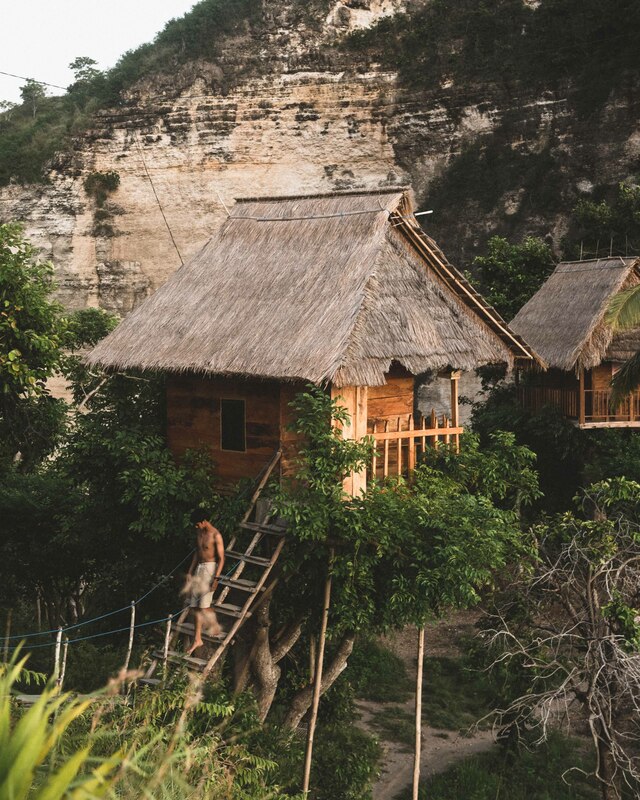 Nusa Penida: Photograph untouched landscapes and vibrant culture. Unique, raw landscapes and rich, vibrant culture. 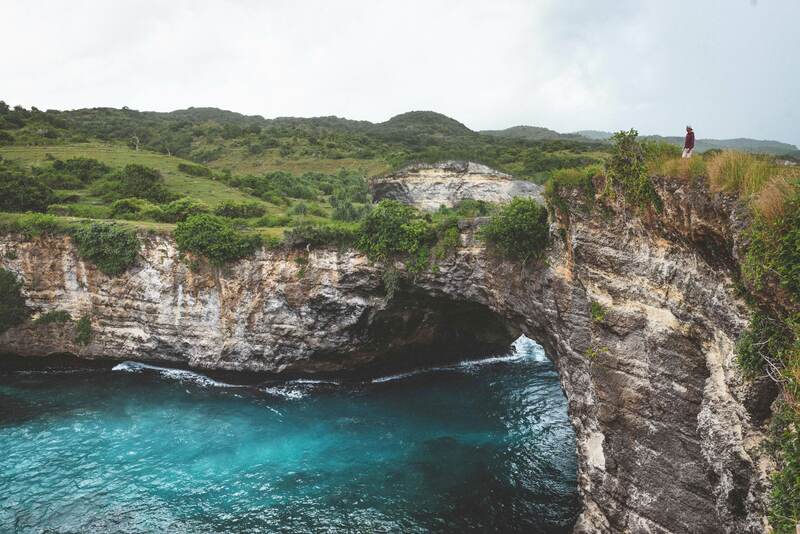 Being one of the largest islands of Bali, Nusa Penida is quickly becoming a hot spot due to its untouched beauty. Photographer Philip Nguyen tells us a little bit about his journey and gives us some suggestions on the best spots for photography. This is truly a destination where the reward is more than worth the effort. Just be sure to give yourself ample time. Our first stop, after a long and bumpy ride on our bikes, was Broken Beach. A beautiful coastline unlike anywhere in the world. From here, you can look directly into the sea through crystal clear waters and if lucky, you will be able to see a whole slew of Manta Rays and turtles roaming about. 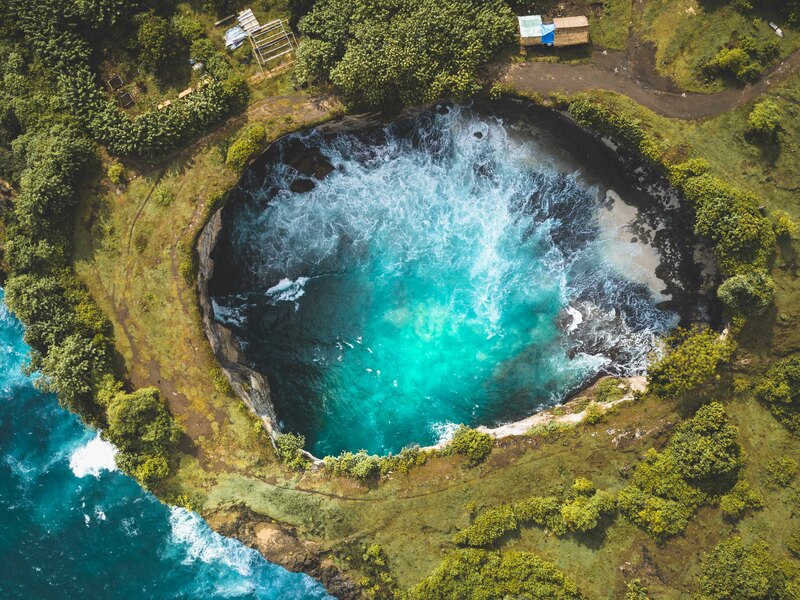 Due to volcanic activity, the beach appears “trapped” between the cliffs, which has allowed a giant pool to form. Following the dirt path on the right, brings us to Angel’s Billabong, another natural pool created from high ocean tides. On a good day with low tides, the pool allows you to swim and relax in emerald green waters overlooking the ocean. We then made our way to Kelingking beach to catch the last light of the day. After about an hour ride, we reached the cliffs of Karang Dawa viewpoint, containing one of the most striking formations in the world. A dinosaur shaped peninsula stretched out into the beach greeted us at the viewpoint. 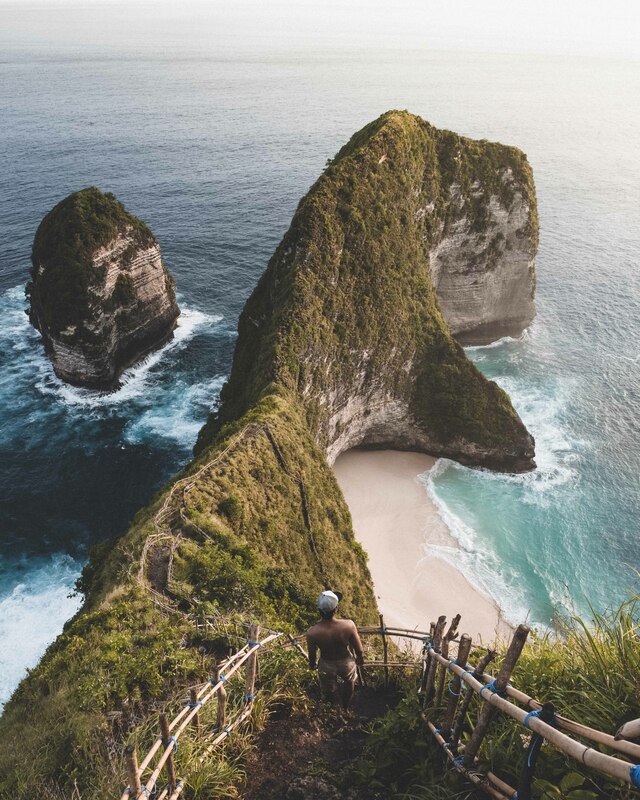 With newly formed pathways, you can take an incredibly rewarding and strenuous hike down to the most beautiful and pristine beach on Nusa Penida. With sand so soft that your feet just sink in with every step and tides so high that would satisfy anyone looking to have a good time, you’d be hard-pressed to find another paradise quite like it. After a night in our homestay, one of many local accommodations along the island, we made our way in pitch darkness to Atuh beach to catch the sunrise. With a short 10 minute hike from the parking lot to the coast, we were greeted with a rising sun lighting up the rugged coastline. Here lies another beautiful cliff overlooking the ocean with striking rock formations littered all along the coast. From this point, you can even see Mt. Agung standing tall on the island of Bali. 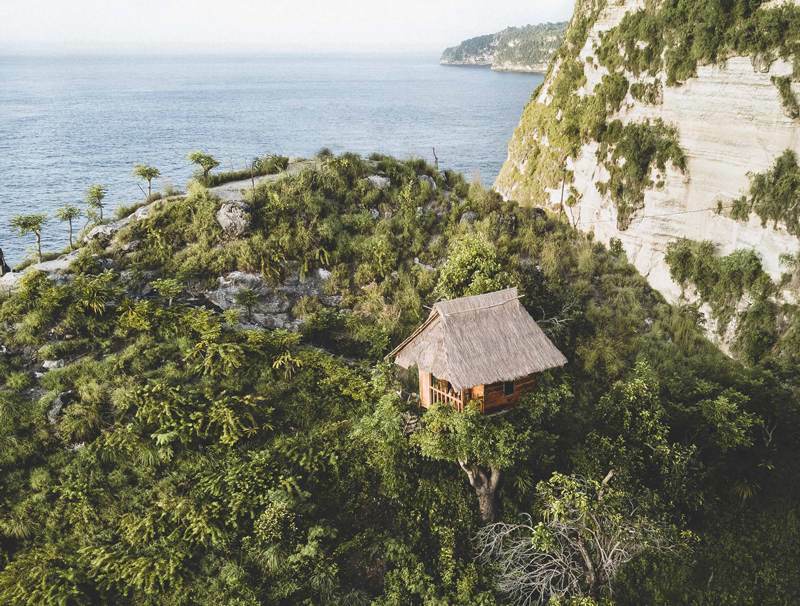 Along the path lies treehouses that give you panoramic views and shelter to peacefully take in the scene. Not a bad way to spend the rest of the day. In the short time here, I can say without a doubt that Nusa Penida is one of the most unique places I’ve ever been to and I’m already waiting to go back. 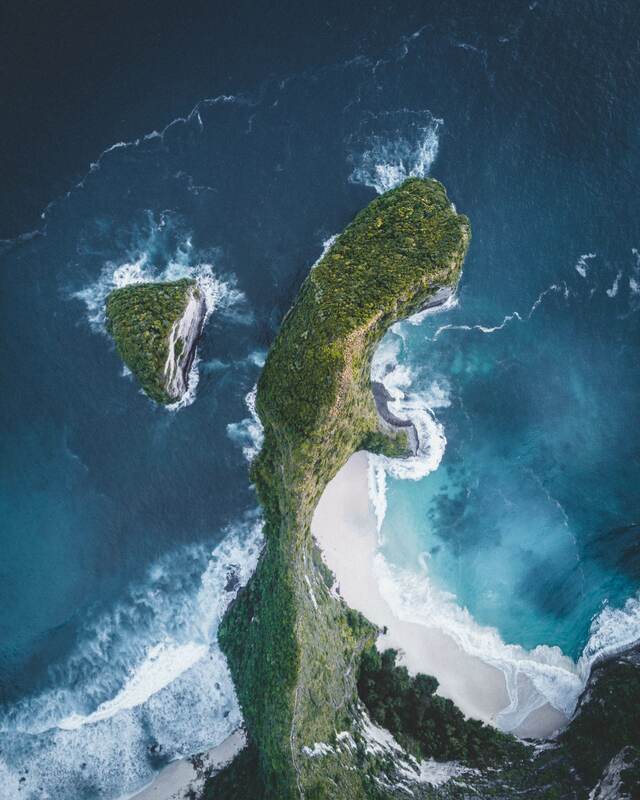 What makes Nusa Penida so interesting and rewarding for photographers is definitely how raw and undiscovered the whole island feels. 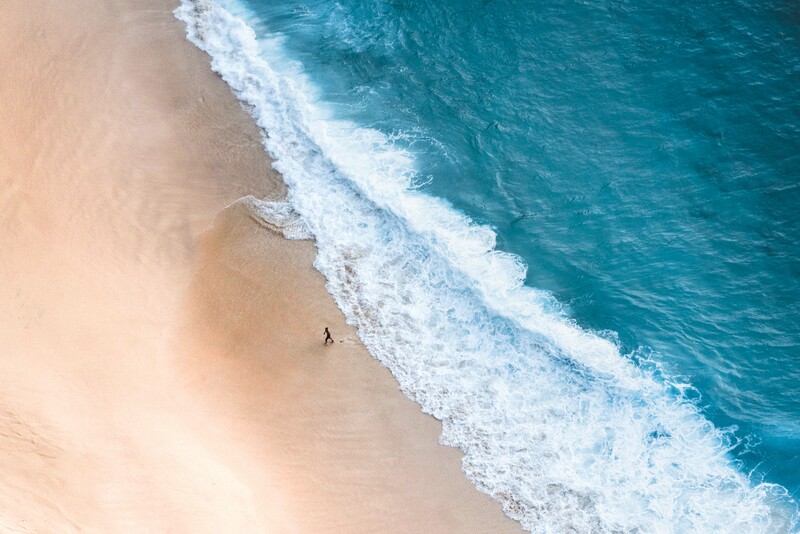 You’d almost feel like you have paradise all to yourself. Stunning landscapes and local stories all waiting to be captured. Take with you some sort of wide angle lens. Of course, it depends on the types of images you’d like to take but with the massive features of the rock formations and sprawling landscapes, a good wide angle is necessary to capture the vastness. In addition to that, I’d suggest taking a drone. This would allow you to capture more varying angles that would be impossible to get to by foot. I would also recommend bringing with you a CPL Filter. To cut through ocean glare and remove reflections from any surface. A Polarized filter will also enhance saturation, so colours will look more vibrant, particularly in blue skies and green foliage! With so much to still explore on the island, I’d encourage you to give yourself time to venture every corner of this paradise. For more stories follow our Instagram @mygobe. 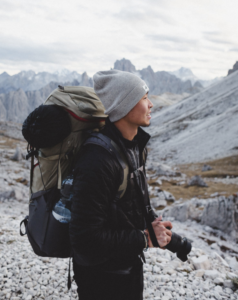 Philip Nguyen is a self-taught freelance photographer born and raised in Houston, Texas. Philip fell in love with travelling at a young age and later found sanctuary in the unspoiled elements of the outdoors. A technical mind with a yearning for artistic escape, he has adopted photography to visually interpret the stories of his travel adventures, changing environments, and the people around him with a focus on mood and feeling. In the past year of being on the road throughout North & South America, Europe, and Southeast Asia, he has helped tell the stories of those he has met around the world and captured some of the most remote and undiscovered gems on this planet. And with that, amass a loyal following who share the same passion for adventure and travel.